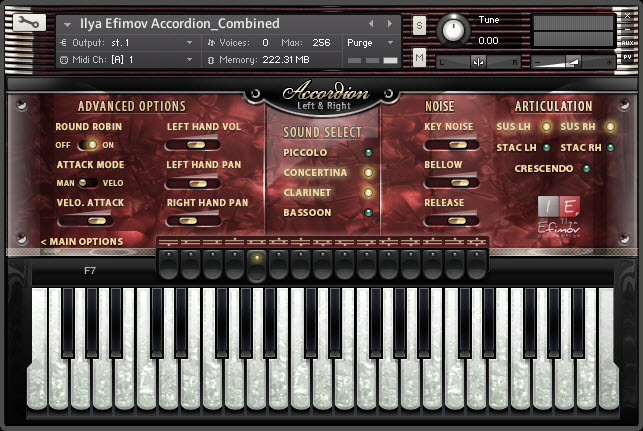 Ilya Efimov Production has updated Accordion for Kontakt to version 1.45. Chord recognition system for the left hand. 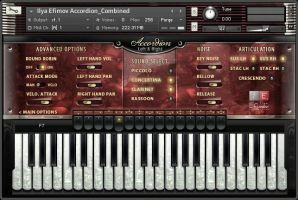 Picking mode to play with accompaniment keys. The independent sustain and staccato articulations of the right-and left-hand. Volume\Pan level for the left and right hands.